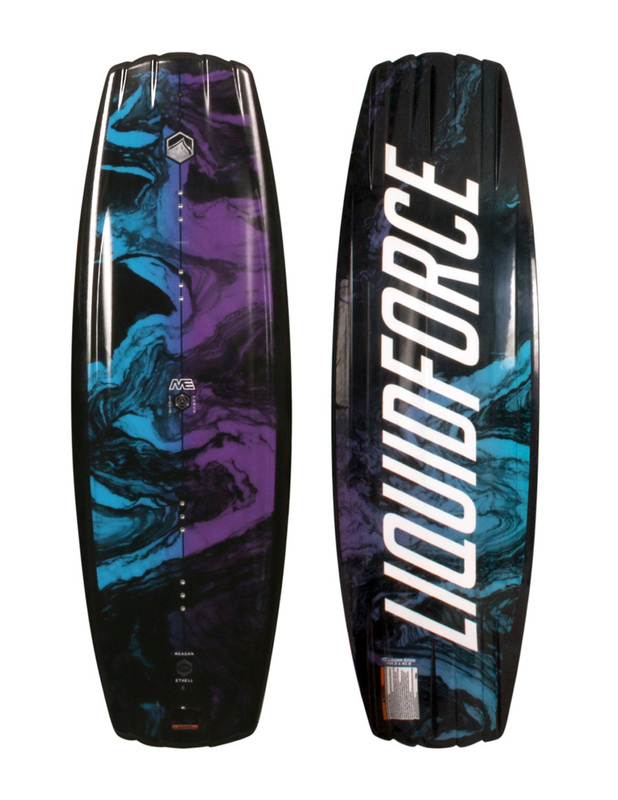 If you are looking for wake to wake performance, then the Liqud Force Meagan Ethell’s pro-model does not disappoint! The ME’s 3 -Stage Rocker provides that needed pop off the wake and a variable edge rail keeps your ride smooth and catch free. Learning new tricks and boosting of the wake like Meagan does... the ME does it all!